Busy contractors and construction businesses often find that keeping up with their accounting and bookkeeping tasks throughout the year is a constant struggle. You may start out on the right foot, but the challenges of running the daily operations of your business can quickly take over. Before your books get out of control, contact me and take advantage of my construction accounting services. We offer many specialized bookkeeping and accounting services designed around the needs of your industry like job costing, operational reviews, and fixed asset accounting. We can also take over sales tax processing, bank reconciliations, monthly closings, and other important bookkeeping functions. In addition to our construction accounting services, we can develop a tax planning strategy that will keep more of your profits in your pocket. Most importantly, at Robert Kilkenny, CPA we strive to build a lasting relationship with each of my clients. We get to know you and make it our goal to help your business thrive financially through the ups and downs of the economy. 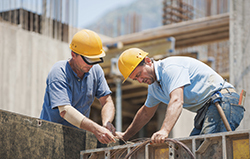 Our Central Massachusetts, MA CPA works with construction companies large and small and all kinds of contractors including builders, electricians, HVAC companies, plumbers, painters, and many others. Call us today at 978-344-0807 to learn more or request a consultation online now.